The coast represents the crossroads between the oceans, land and atmosphere, and all three contribute to the physical and ecological evolution of coastlines. Coasts are dynamic systems, with identifiable inputs and outputs of energy and material. Changes to input force coasts to respond, often in dramatic ways as attested by the impacts of the Indian Ocean tsunami in 2004, the landfall of Hurricane Katrina along the Gulf Coast of the USA in 2005, and the steady rise of global warming driven sea-level. More than half the world’s human population lives at the coast, and here people often come into conflict with natural coastal processes. Research continues to unravel the relationship between coastal processes and society, so that we may better appreciate, understand, manage and live safely within this unique global environment. Coastal Systems offers a concise introduction to the processes, landforms, ecosystems and management of this important global environment. 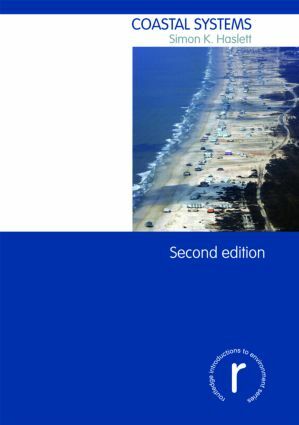 New to the second edition is a greater emphasis on the role of high-energy events, such as storms and tsunamis, which have manifested themselves with catastrophic effects in recent years. There is also a new concluding chapter, and updated guides to the ever-growing coastal literature. Each chapter is illustrated and furnished with topical case studies from around the world. Introductory chapters establish the importance of coasts, and explain how they are studied within a systems framework. Subsequent chapters explore the role of waves, tides, rivers and sea-level change in coastal evolution. Students will benefit from summary points, themed boxes, engaging discussion questions and new graded annotated guides to further reading at the end of each chapter. Additionally, a comprehensive glossary of technical terms and an extensive bibliography are provided. The book is highly illustrated with diagrams and original plates. The comprehensive balance of illustrations and academic thought provides a well balanced view between the role of coastal catastrophes and gradual processes, also examining the impact humans and society have and continue to have on the coastal environment.